The message boxes are from a software that's supposed to be a spell-checker for Bulgarian. 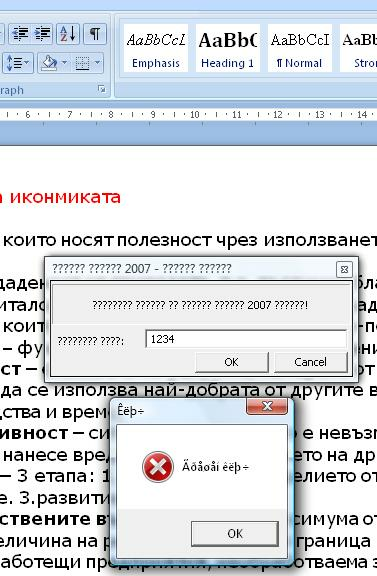 Can this software fail at displaying Bulgarian characters? The software is called Cyrilla Correct 2007 - it is intended for MS Office 2007 and this is a clean install of the trial version. This happens on first use. A crap, I'm disappointed. And this is supposed to be the best thing on the market.